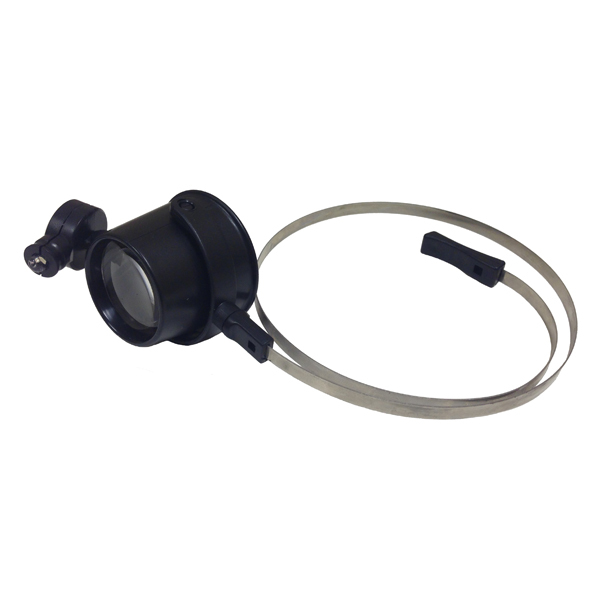 * Removable steel belt for loupe-fixing. * High power white LED light, adjustable with rotatable ball joint. * Ideal for jeweler, watchmaker, circuit board and electronics, coin and stamp connoisseur and so on. * LED Power: 2 x CR1620 button cell batteries (included).